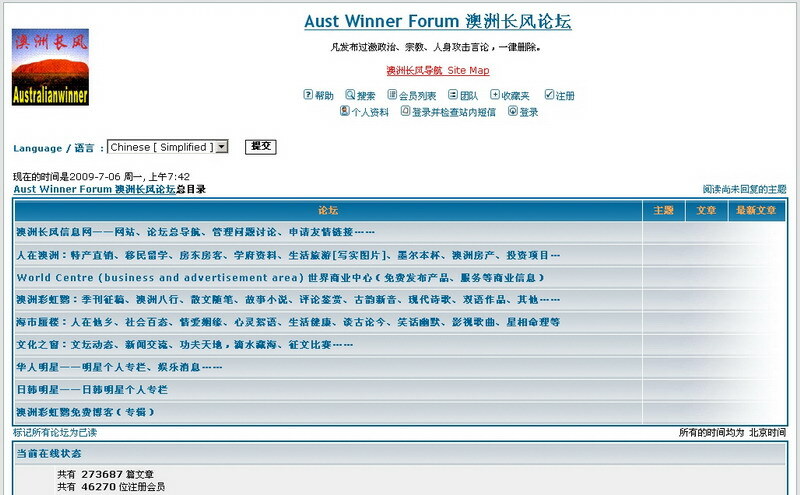 Aust Winner Forum is one of the most popular online communities in southern hemisphere, as you may see from the following screen print. There are nearly 50,000 registered users, and nearly 300,000 posts have been submitted since Sep 2005 in about three years period. 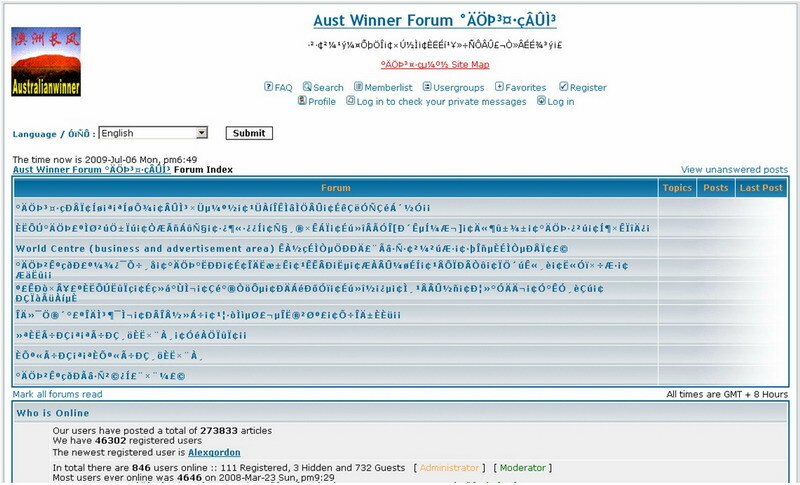 The most users ever online was 4,646 on 2008-Mar-23 Sunday, see below image.